A dispute between House Republicans and other lawmakers over funding for Medicaid expansion and other issues leaves a raft of bills in limbo, including key funding measures. AUGUSTA — The Maine Legislature adjourned Wednesday as State House leaders were unable – and in some cases unwilling – to compromise on several key issues they are now hoping will be resolved in a special lawmaking session. But it remains uncertain how lawmakers will return to work or if they will be able to craft a compromise agreement that would allow them to come back later this month to vote on bills that both sides say they support, including a measure that would align Maine’s tax code to new federal law. The votes to adjourn came late in the day after attempts in the House of Representatives to extend the session by five days, three days and one day all failed along partisan lines, with minority Republicans who object to voter-approved Medicaid expansion withholding the votes needed to achieve the two-thirds majority required to keep lawmakers working. The Senate had voted to extend the session. Although lawmakers in 2017 approved the pay hikes that keep those workers who help the elderly and the disabled making more than the minimum wage, they did not fund the pay hikes for the next fiscal year. 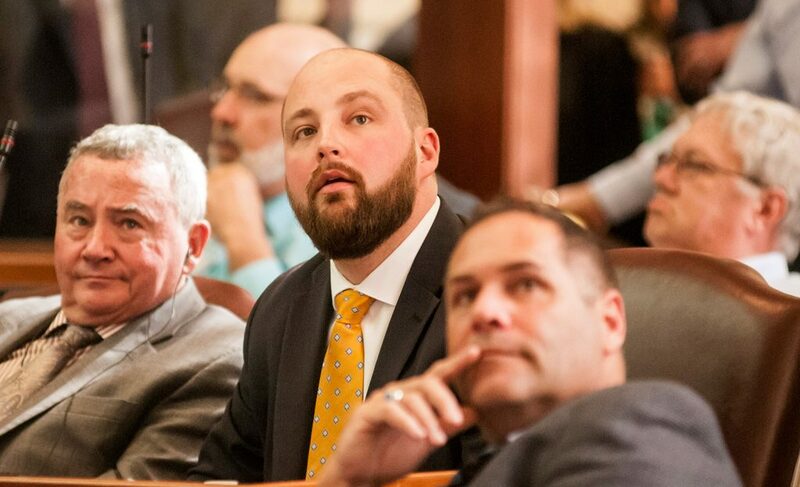 Also, more than 100 bills that passed both chambers of the Legislature are in limbo awaiting funding decisions from the Appropriations and Financial Affairs Committee. The Legislature, which is near evenly divided between Republicans and Democrats, adjourned without passing a bill that would appropriate more than $1 billion to Maine’s public schools next year. School administrators have warned that delaying action on the annual funding bill will cause delays and uncertainty as school districts try to craft their budgets for next year. Meanwhile, operators of group homes for individuals with autism or intellectual disabilities are warning that some homes may have to lay off staff or close because of the uncertainty caused by the legislative stalemate. Also left undone is a package of bonding proposals that normally would go to voters in November to pay for highway and bridge construction and repair or other state infrastructure needs. Among the bills are dozens that lawmakers on both sides of the aisle say they agree on, but the meltdown over Medicaid expansion and how to fund it, coupled with a push to roll back another voter-approved law – scheduled increases to Maine’s minimum wage – left the Legislature at an impasse. Lawmakers could return to a special session if a majority of all the legislative caucuses, including the one-member Independent Green Party caucus, agree to come back to finish their work, or they could wait to be summoned back by Republican Gov. Paul LePage. Tensions were high as Republicans and Democrats in the House tried to reach a deal to extend the session. But House Republicans remained steadfast in their resistance, saying they believe the better path forward was for a special session, even though that would cost taxpayers about $18,000 more per day than if the Legislature had agreed Wednesday to simply extend the current session. The difference is that lawmakers would be paid for work during a special session, but they receive no pay for working during an extension of a regular session. However, some House Republicans said they would return any pay they received in a special session to the state. While majority Republicans in the Senate agreed with their Democratic colleagues to extend the session, House Minority Leader Ken Fredette, R-Newport, said his caucus was unwilling to go along. He said they were trying to break a longstanding practice at the State House of extending sessions or pushing lawmakers to an adjournment deadline to increase leverage on lawmakers considering contentious bills. 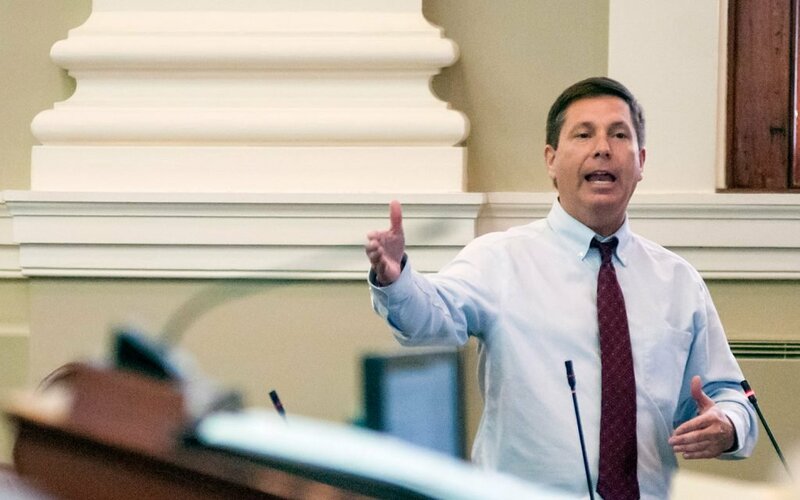 Fredette said House Republicans were trying to break a pattern of legislative leaders using adjournment deadlines to influence lawmakers, noting that House Republicans, combined with LePage’s veto pen, had more influence than Democrats would acknowledge. Fredette said House Republicans and LePage can point to historic tax cuts, low unemployment and a state budget surplus that didn’t exist when they swept office with LePage in 2010. Before adjourning, Senate President Mike Thibodeau, R-Winterport, thanked lawmakers in the upper body, noting the undignified end Wednesday with their work unfinished was not the choice of any of the Senate members. Senate Minority Leader Troy Jackson, D-Allagash, also thanked Thibodeau for treating all the members of the Senate with fairness, even when they didn’t agree on policy issues. 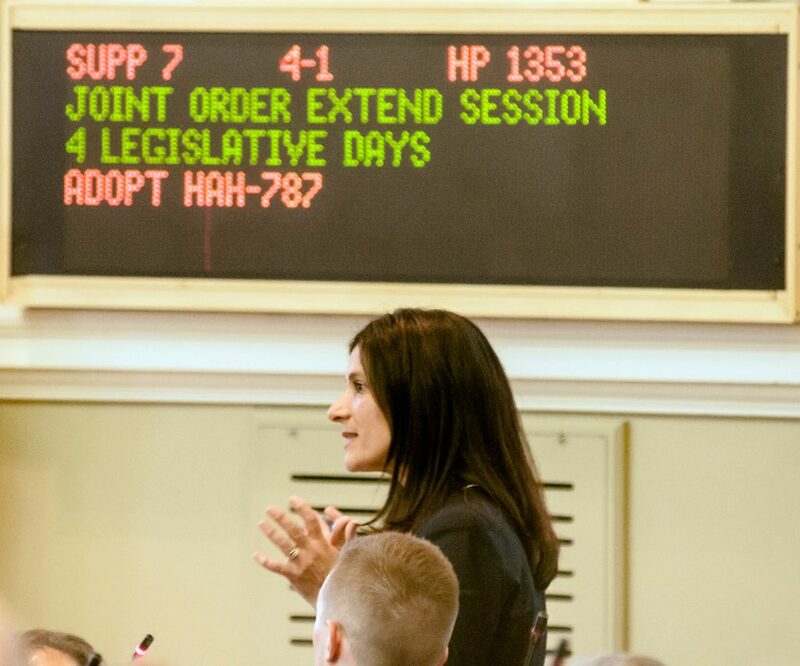 Earlier, in a speech imploring lawmakers in the House to vote for an extension, House Speaker Sara Gideon, D-Freeport, said the unfinished work was too important to abandon, and an orderly return to a special session was too uncertain. She also promised a focused extension of just four days that would be intense but limited to key issues, while saying she took personal responsibility if any of her actions led to the impasse. Gideon said she would move forward with an open mind and meet with any representative who wanted to seek compromise. After the adjournment vote, Gideon issued a statement assailing her Republican counterparts in the House for failing to extend the session.